Google has introduced an open format for Bluetooth Low Energy (BLE) beacons that is designed to address the shortcomings of existing beacon services and is compatible with both Android and iOS devices. Existing beacons can be made to support the Eddystone format with a “simple firmware update,” Google says. Eddystone offers security through a feature called Ephemeral Identifiers (EIDs), beacon IDs that change frequently, allowing only authorised clients to decode them. Developers can also attach cloud-based data to beacons, with the information being looked up and passed to their app by the Eddystone service whenever a relevant beacon comes into range. The company has also introduced APIs to help developers build apps and services using the technology and a platform to manage supported beacons, monitoring their battery life and also reporting if a device has been moved from its intended location. Google will also begin to “improve” its own products and services, such as Google Maps and Google Now, with beacons supporting the format. Eddystone is already being used across all of Portland’s TriMet stations in the US to deliver real-time transit information including schedules and alerts to passengers’ smartphones as a result of a partnership with beacon manufacturer Bluvision to deploy “several hundred” beacons with support for the format. Google has also partnered with a number of other beacon manufacturers including Bkon, Estimote, Kontakt.io, Radius Networks and Signal360 to build Eddystone-compliant beacons and to test and validate the new format. “Working closely with partners in the BLE beacon industry, we’ve learned a lot about the needs and the limitations of existing beacon technology,” engineering director Chandu Thota and product manager Matthew Kulick write in a blogpost. “So we set out to build a new class of beacons that addresses real-life use-cases, cross-platform support, and security. “It supports multiple frame types for different use cases and it supports versioning to make introducing new functionality easier. Eddystone’s extensible frame formats allow hardware manufacturers to support multiple mobile platforms and application scenarios with a single piece of hardware. “As businesses move from validating their beacon-assisted apps to deploying beacons at scale in places like stadiums and transit stations, hardware installation and maintenance can be challenging,” Google adds. 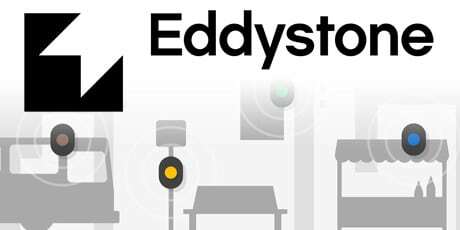 “Starting today, beacons that implement Eddystone’s telemetry frame (Eddystone-TLM) in combination with the Proximity Beacon API’s diagnostic endpoint can help deployers monitor their beacons’ battery health and displacement — common logistical challenges with low-cost beacon hardware. “Eddystone offers two key developer benefits; better semantic context and precise location,” the blog post continues. “To support these, we’re launching two new APIs. The Nearby API for Android and iOS makes it easier for apps to find and communicate with nearby devices and beacons, such as a specific bus stop or a particular art exhibit in a museum, providing better context. “We’re also starting to improve Google’s own products and services with beacons,” the authors add. “Google Maps launched beacon-based transit notifications in Portland earlier this year to help people get faster access to real-time transit schedules for specific stations. “We are excited by the possibilities Eddystone enables,” says James Buchheim, CEO of Bluvision. “The ability to provide valuable interaction and content is a key to realising the true potential of the Internet of Things. Eddystone looks like a promising BLE format. It offers security through Ephemeral Identifiers (EIDs), ability to attach cloud-based data to beacons coupled with two power APIs; Proximity Beacon API and Nearby API which will give developers a more robust and extensible way for working with beacons. Pretty excited to try out new things with Eddystone. Feel free to drop me a mail – ss@mindbowser.com if you share the same passion or want to build a solution for yourself.